What to do when you take too many photos? IF you’re anything like me, you take way too many photos. I’ve lost count of the number of times I’ve run out of memory on my phone since Santi was born … The little thing is just too photogenic! This year I decided to take a photo a day (since day two they’ve pretty much all been of Santi), which means I have hundreds of photos building up. There’s no way I could print and frame them all … We only have so many walls (plus it would cost a fortune), and I find that albums tend to be put away and forgotten about, so I came up with a different way of displaying them. Cue the newly decorated fridge! I uploaded a select few (13 to be exact) to Snapfish, and had them turned into photo magnets. It was really easy to do, just upload the photo, crop it to size and add to your basket. I did find it a bit fiddly if the photo was landscape as for some reason it wanted them all to be portrait, but I just used a website called Canva to rotate them first. 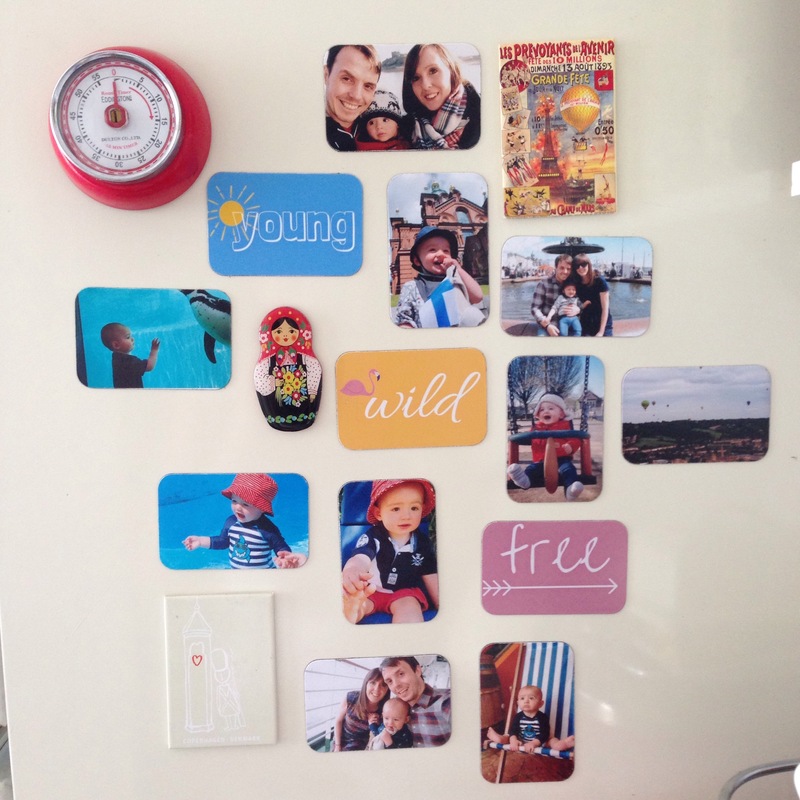 While I was in Canva, I designed these Young Wild Free magnets to go between the photos … I especially love the flamingo! I was a bit worried initially as a few of the photos had been given the Instagram treatment (who doesn’t love a filter?!) and I wasn’t sure what sort of quality they’d come out, but they’re all lovely. Santi has been having great fun taking them off and putting them back on too … Although one did end up on the radiator in the hall. *I worked with Snapfish on this project, but all views are my own. That’s a really nice idea. I have so many and I’m rubbish at curating them! Thank you, the flamingo is fab! These look lovely. 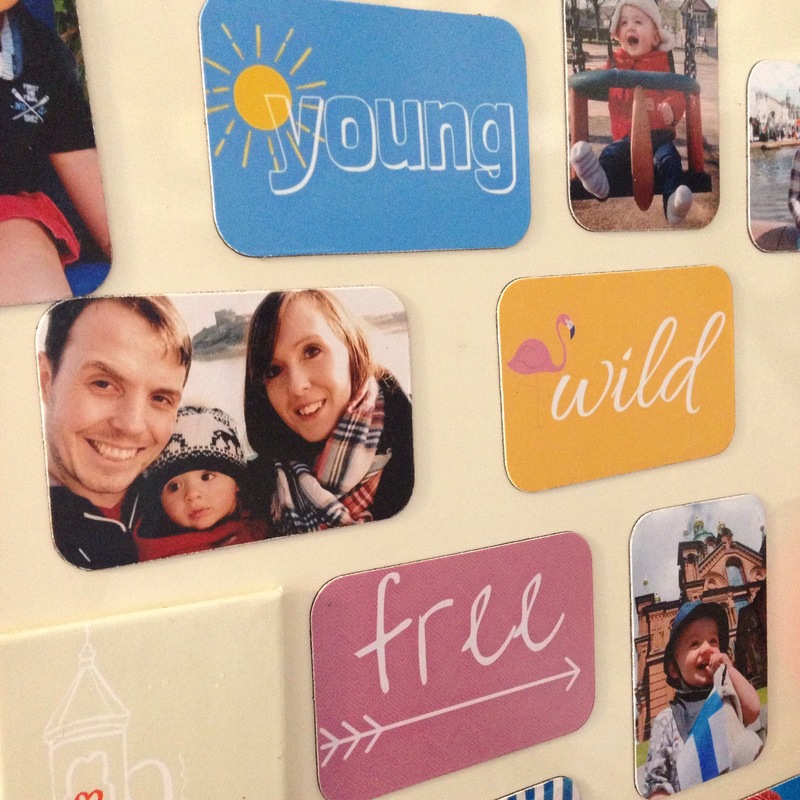 I have a few photo magnets on my fridge, I got them via an instagram app, I aimed to completely cover the fridge with them but haven’t had any more printed! I love the ones that you designed too, they break it up nicely. 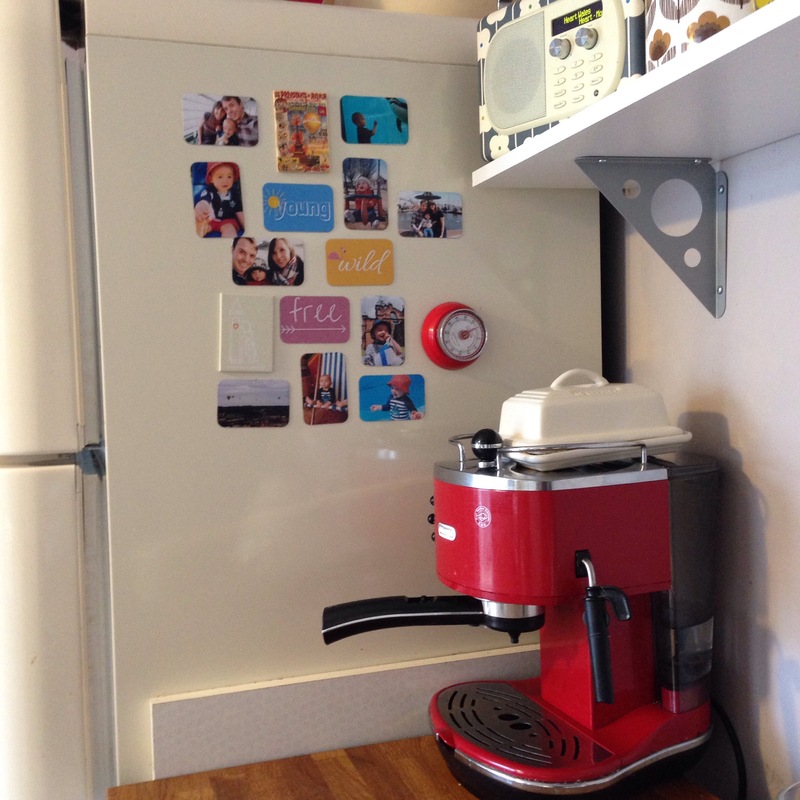 I know, I’d like to cover the fridge too … We’ve got a Smeg though so only the side is magnetised. What a gorgeous idea! I hadn’t thought of this, my baby is only 5 weeks and already i’m photo spamming everywhere. I don’t blame you! Baby pics are the best! It’s lovely isn’t it. I’ve had to take drawings down as Santi was grabbing them all the time. Thanks for reading. Go for it! It’s quite time consuming but worth it! That looks fab, I love how you have arranged them. I have started a tradition of getting my other half a magnet for father day and usually choose Snapfish. Thank you – I keep rearranging them every time I make a cup of tea!